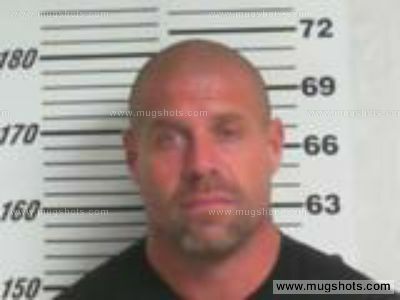 Youth Football Coach arrested – selling steroids? 1-Oct-2013 by THF in Hoot's Corner | Comments Off on Youth Football Coach arrested – selling steroids? PICAYUNE, MS (WLOX) – A Picayune man has stepped down as a youth football coach and as vice president of football for the Picayune Youth Athletic Association Board after illegal steroids were allegedly found at his home. According to Picayune Police’ assistant to the chief Jeremy Magri, Brant Peddy, 38, was charged with misdemeanor possession of a controlled substance and possession of a controlled substance with intent to distribute within 1,500 feet of a school. Magri said those charges come after the Picayune Police Narcotics Division received information about Peddy being involved in steroids and possibly selling steroids. They decided to conduct a search warrant at Peddy’s home on Monday, September 23 around 6 p.m., Magri said. Inside his home officers reportedly found several used and unused individually packaged syringes in his bathroom and bedroom. There were also several small peach colored pills identified as Alprazolam, Magri said. Magri said the pills were not prescribed to Peddy. Magri said officers also located 11 tubes containing a liquid substance labeled Tren and one labeled Stan-50, Magri explained. During the search, Peddy was seen driving towards his home. He was stopped at the intersection of Glenwood Street and Fourth Avenue. That’s where he was arrested and transported and booked at the Picayune Criminal Justice Center. Six hundred dollars in cash was found inside his vehicle, Magri said. The money was confiscated. “Due to the circumstance of the investigation and what was discovered in the search warrant, under Mississippi State law, we were able to seize the money believed to be used in drug transactions,” Magri said. Peddy’s bond was set at $60,000. He posted bail and was released Thursday. According to City Operations Director Harvey Miller, Peddy was removed from his position as vice president of football for the Picayune Youth Athletic Association and has stepped down as a the youth football coach for the Mississippi Youth Football League. Miller said that league is not affiliated with the city and this the association has never dealt with a situation like this before. “I don’t believe he was contributing that to his children. We take it with a lot of pride that we get a lot of volunteers for our programs. I think we need to consider doing a background check with anyone involved in coaching and children. But in this case he was never charged with anything prior to his arrest. So when you have to survive on the help of volunteers it’s a surprise for us and can happen anywhere. But we’ve taken the corrective measures,” Miller said.